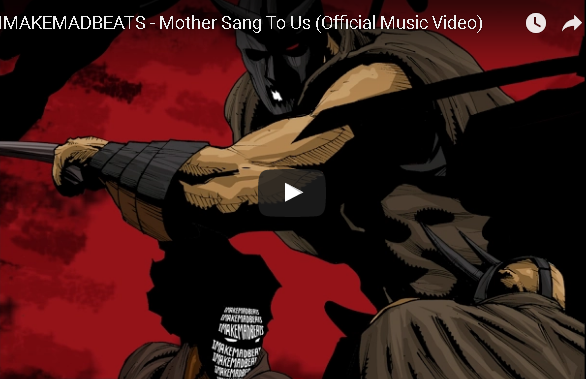 "The Mother Sang To Us" animated short story is the result of artist Gift Revolver, animator Okito of Sky 5, and IMAKEMADBEATS collaborating to bring to life a story inspired by the music from MADBEATS’ Better Left Unsaid EP. Shortly after IMAKEMADBEATS composed this song, the haunting vocals and epic strings drove him to write a story of death, revenge, and confrontation. He then took that idea to frequent visual collaborator and comic book artist extraordinaire Gift Revolver and eventually took those images to the multi-talented Okito at Sky 5 Studios.